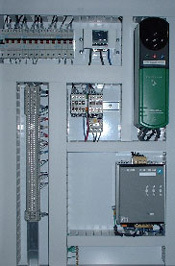 American Moistening Company's controls are custom designed for each installation, whether they are Digital Controllers or Computerized Controllers, such as PLC's. Sophisticated and user-friendly PLC's are designed for multi-zone humidification. We help get your project off to a good start. We bring valuable experience to each project right from the conceptual stages through completion and start-up. Our engineers have varied backgrounds and bring knowledge and experience in many industrial products and processes. Our engineers have responsibility for the project, including, estimating the job, procuring the material, assembly, software development, and final test. We have built a network of qualified suppliers that can help us select and procure the best components to fit the control strategies designed into your products. We schedule all material receipt and production to maintain an efficient flow of material and work through our manufacturing areas. By effectively scheduling we can meet delivery requirements without unnecessary overtime or delays. Engineering changes are documented and implemented as required. Excess material and scrap are kept as low as possible. Communications are by voice, fax, e-mail, and/or electronically transmitted documents. Transportation can be scheduled as required. AMCO can ship using all of the common carriers or we can schedule shipment using our own vehicles. Our engineers have varied backgrounds in industrial control and bring this knowledge and expertise to every project. We select the best hardware and components to accomplish the control strategy for each project. This hardware can be packaged in an off the shelf enclosure or we can design an enclosure to meet specific requirements. Our familiarity with manufacturers and equipment options will optimize the selection process and minimize cost and maintenance while maximizing ease of use and performance. 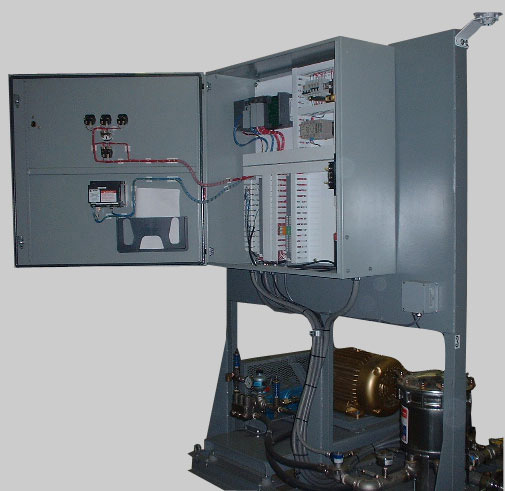 We design and develop PLC programming to help maximize the utility of the components selected. We prepare a full documentation package for each project. This package includes the PLC program (if applicable), assembly drawings, wiring schematics and any other applicable documents. 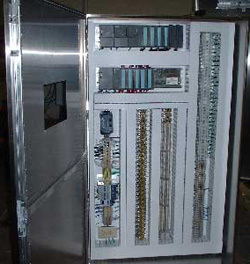 We have approximately 10,000 square feet of floor space devoted entirely to the assembly of control panels. We have the space and equipment to set up and handle large or small systems. Our assembly personnel are equipped with the tools to crimp a variety of terminals and to identify each wire. We can run flexible and rigid tubing. AMCO is a UL listed control panel assembler. In-process checks assist in meeting our demanding quality standards. We have a formal inspection and testing system to insure adherence to design specifications and industry and UL standards. When feasible and when required we functionally test control panels. This testing is in addition to continuity checks and visual inspections. We encourage our customers to witness and participate in functional testing. AMCO is ISO 9001 certified.